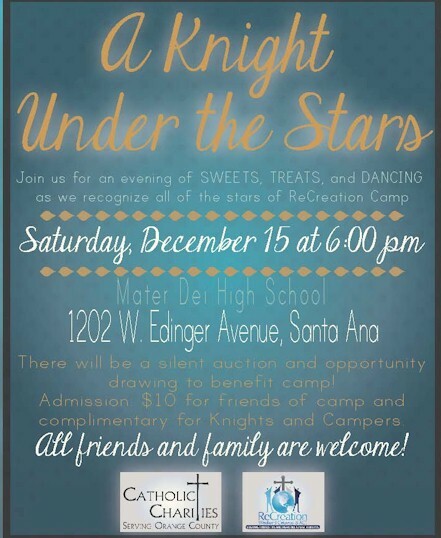 Knights Under the Stars Saturday, December 15th. Please plan to come and help us support our campers from ReCreation Camp. This event honors the Knights and volunteers.